In early September General Mills announced a pledge to reduce company greenhouse gas emissions by 2025 to 28 percent of 2010 levels, reported Environmental Leader. This is not the first set of strides toward sustainability by the business. Since 2005, General Mills has committed to focusing on its overall emissions and has largely succeeded. In the past ten years the business' emissions have been reduced by 13 percent. "We know our greatest impact is outside our four walls particularly in agriculture, ingredients and packaging," said Chairman and CEO of General Mills Ken Powell, according to the source. "To reduce emission levels, we must work across our value chain with growers, suppliers, customers and industry partners." 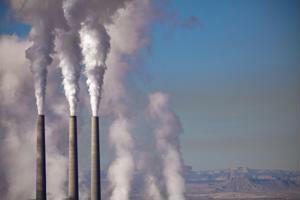 The company plans to continue efforts toward supply chain emissions cuts in the future. Environmental Leader listed General Mills' plan for the next 10 years. Make $100 billion more in investments towards clean and efficient energy. Continue to seek out partners to help with a speedy transition to sustainable farming practices. This effort will be specifically focused on creating climate-proof soils. Improve packaging measures in a sustainable fashion. Support farmers throughout the supply chain in their paths towards climate resiliency. These measures have great potential to make an impact on sustainability. General Mills' supply chain is far-reaching. The company is a world leader in manufacturing with major foods falling under the company name, from Haagen-Dazs to Yoplait, reported The Climate Group. The business' decision to make the move toward a more sustainable commitment arose for a few different reasons. First, General Mills saw a clear opportunity to help improve global conditions. The sheer size of the business and its supply chains allows the company to take big steps towards cutting down global greenhouse emission rates, explained the source. Second, General Mills has been able to save money via these supply chain measures. Transfiguring supply chain production techniques to accommodate more sustainable practices has the added bonus of increasing efficiency and creating overall cost reductions for many companies. "Since we've been on this journey, we've saved money," said John Church in an interview with The Climate Group. "When you look at an entire value chain, there is the opportunity to apply only the right amount of inputs to reduce waste - waste that, inevitably, leads to greenhouse gases generation." Lastly, the marketing power of taking a supply chain down a greener path is a smart move for any company. A recent study by Nielsen found that 55 percent of consumers are willing to take on price increases to ensure a business is committed to positive environmental impacts. "Consumers around the world are saying loud and clear that a brand's social purpose is among the factors that influence purchase decisions," said Nielsen's Global Leader of Public Development and Sustainability Amy Fenton. Whichever way you slice it, this move by General Mills will have major impacts on supply chain practices and can be considered a big win for the green movement.